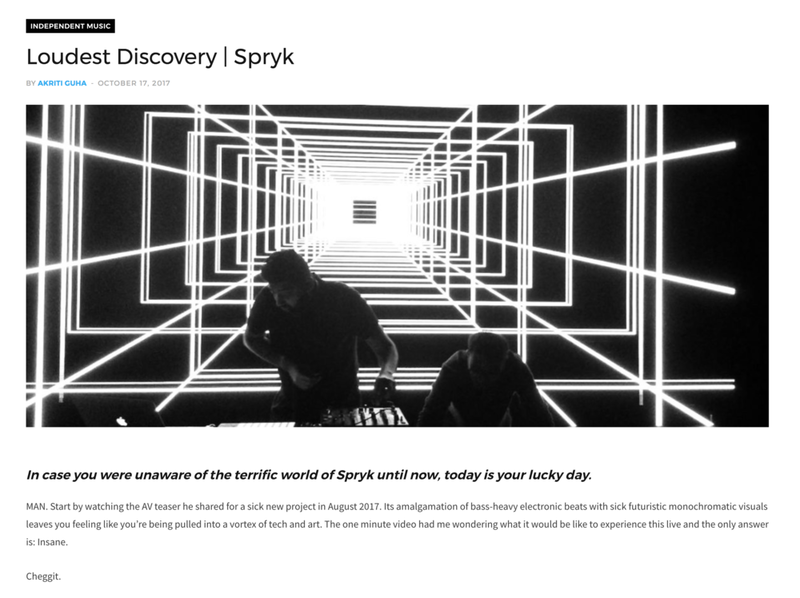 Spryk is the electronic music & art exploration of Mumbai based Tejas Nair. He presents a vast body of work that ranges from a unique brand of bass music releases to forays into the world of electronic art & installations. A signature blend of genres in his DJ sets have brought him to play alongside the likes of the legendary Om Unit, LA Beatsmith Kutmah, UK grime legend Swindle, footwork don DJ Earl, Portuguese beat maker Holly and more at some of the finest venues pushing Electronic Music in India. 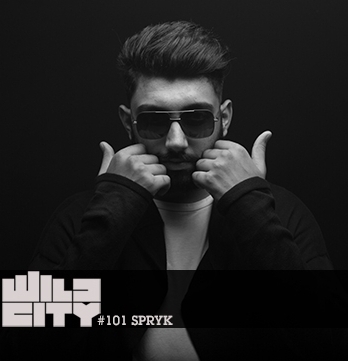 In 2016 Spryk released his debut EP "Slow Fast" on the New York based Label, High Chai Recordings, a long time flag bearer for independent Indian Electronica across the globe. These sounds were subsequently supported by heavyweights Outlook & Dimensions Festivals in Croatia alongside others. From designing the soundscape and contributing with musical score for India's first full length feature AAA Video Game title Antariksha Sanchar to putting out a mini video game along with his last release Meta, Spryk is constantly working towards pushing boundaries of his craft. December of 2016 marked the debut of Spryk + Tessellate "BEYOND | WITHIN"
A Virtual Reality Audio Visual experience that was showcased at Magnetic Fields Festival in Alsisar, Rajasthan marking the second AV installation that Spryk has showcased at the globally respected festival since its inception. Having been acclaimed and recognized for his work by the likes of Rolling Stone Magazine, Red Bull, Resident Advisor, Wild City, Gizmodo, etc. 2017 is set to be a big year for this young producer. A much anticipated 7 track EP & a whole host of exciting collaborations are on the cards.